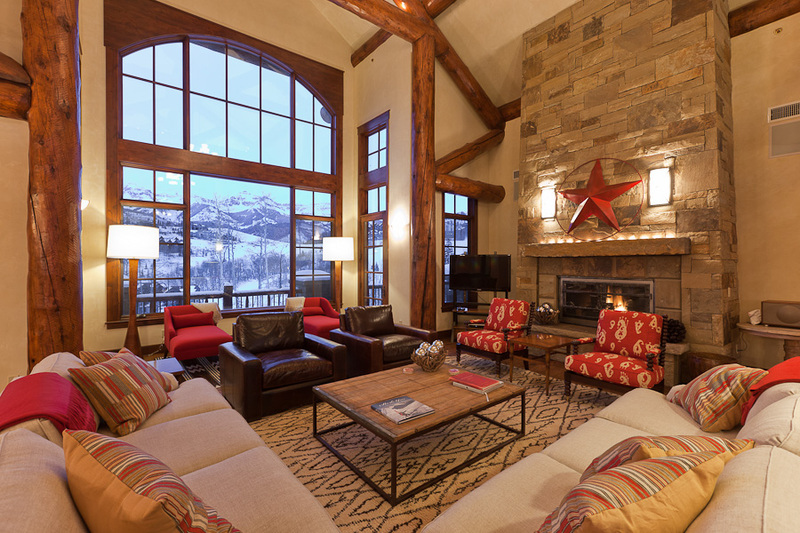 Located directly on the Upper Sundance Ski Trail, within a quiet enclave of exceptional homes, the property’s setting offers a rare southern orientation affording the homesite all-day sunshine, panoramic views of the ski run & resort and dramatic winter & summer sunsets. 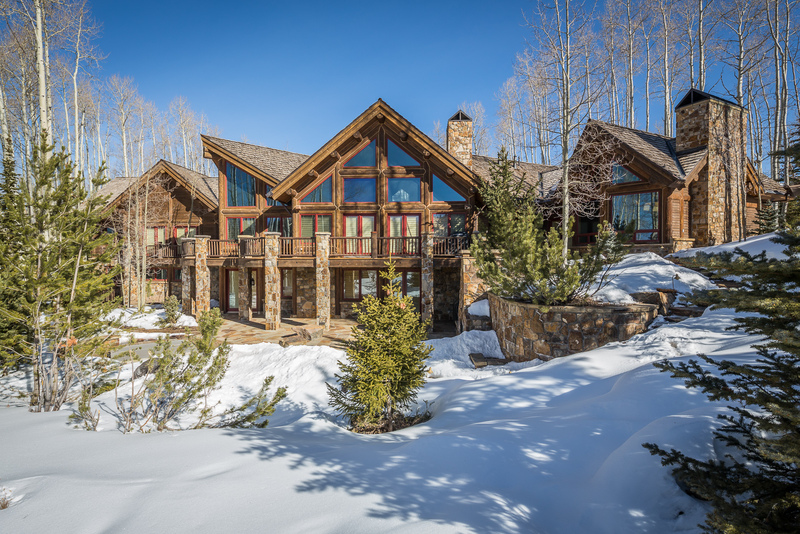 Exceptional log, timber & stone estate set atop a 1.43 acre knoll-top site with panoramic views wrapping of the Telluride peaks, ski area and valley. A dramatic sense of arrival begins with a winding drive opening to a large porte cochere which frames a set of grand, hand-carved wooden doors. Generous spaces with custom furnishings comfortably accommodate all, including a substantial main level Master Suite. Mature grounds & trees become the ideal retreat for outdoor living in the spring, summer & fall. Located within a very private setting within an enclave of large estate properties, yet offering easy access to skiing, hiking & biking trails, Mountain Village shops & restaurants, airport, golf & tennis. Property sold for over $6M in 2006 and has since been upgraded and expanded. 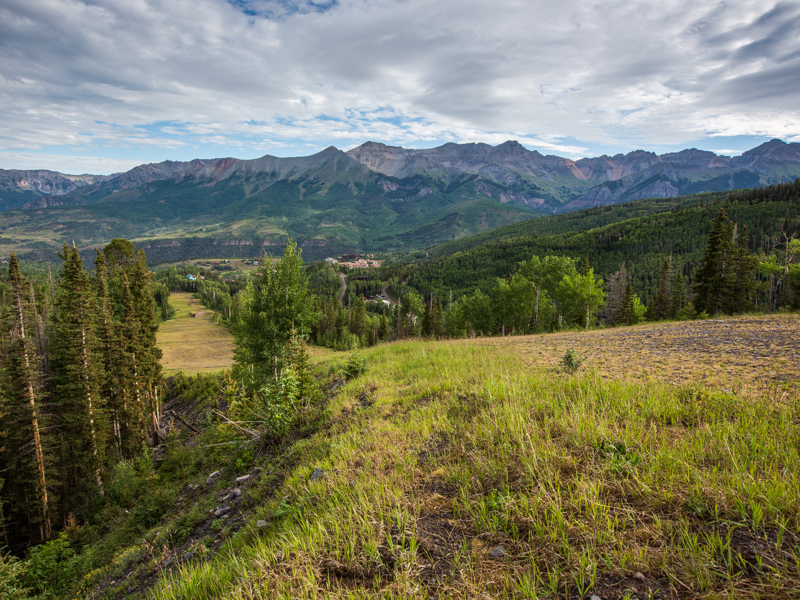 Located on one of the finest lots in all of Mountain Village, The Russell Drive Estate combines seamless ski-in/ski-out access with direct frontage on Telluride Golf Course’s picturesque 3rd Hole. This residential compound offers the rare assemblage of spectacular views, all-day sunshine and end-of-the-road privacy, yet is still in close proximity to the Gondola, Shops, Restaurants, Skiing, Golf and the world-class ski village of Mountain Village. 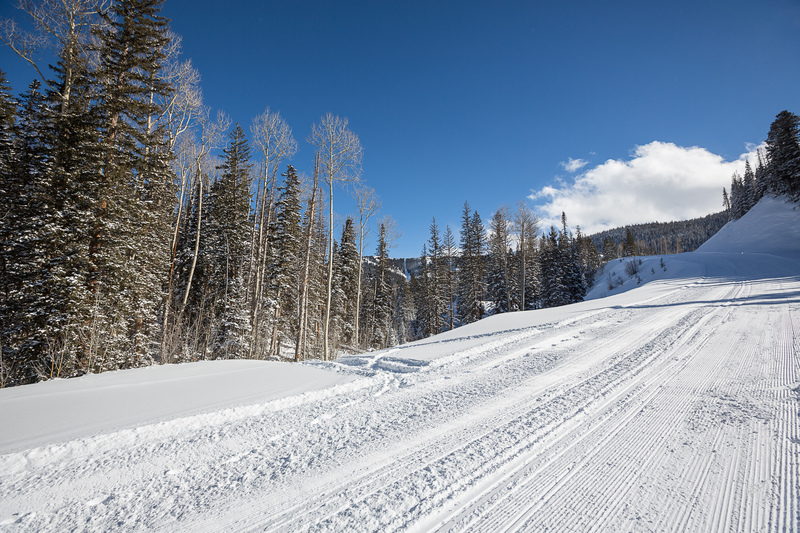 Set among towering mature spruce and fir in an exclsuive cul de sac at the very top of San Joaquin Boulevard, this 1.868 acre estate parcel is one of the largest and most dramatic directly-trailside ski lots available for purchase in Mountain Village. Broncos fever is taken to new heights in gorgeous Telluride, Colorado – the flag passed on like the Olympic torch now rests upon one of the ski resorts highest points.